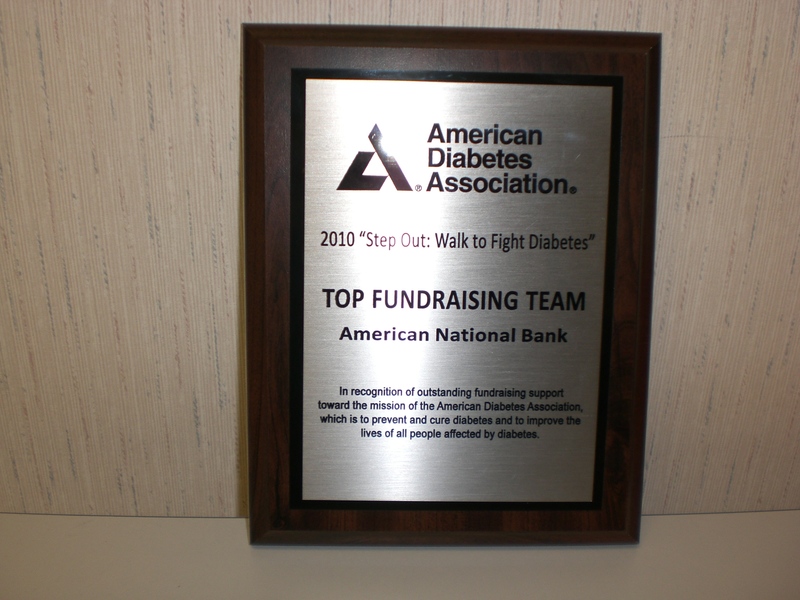 On January 27, 2011, the American Diabetes Association awarded the American National Bank team the award as one of the 20 top fundraising teams for 2010. 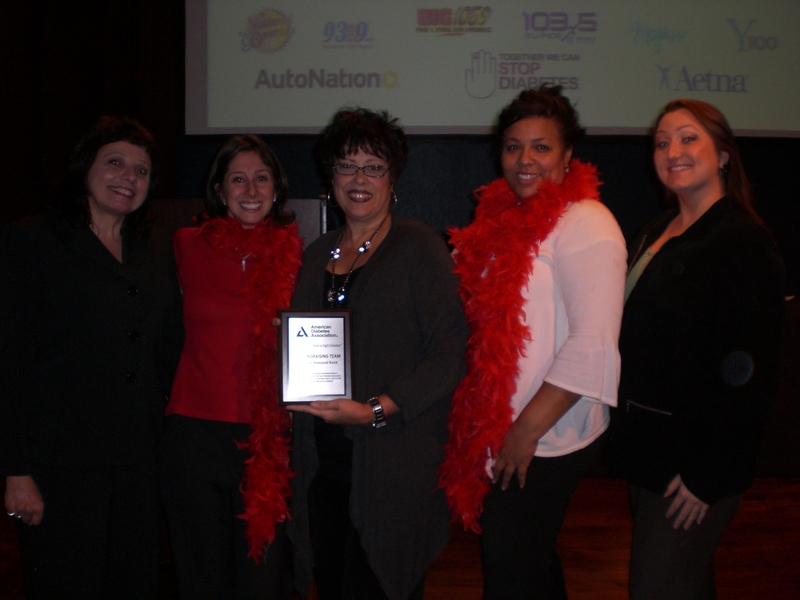 The ANB team was one of 300 teams that participated in the 2010 Step Out Walk for Diabetes and raised over $4,000 for the cause. This entry was posted on Friday, January 28th, 2011 at 9:05 pm and is filed under Uncategorized. You can follow any responses to this entry through the RSS 2.0 feed. You can leave a response, or trackback from your own site.